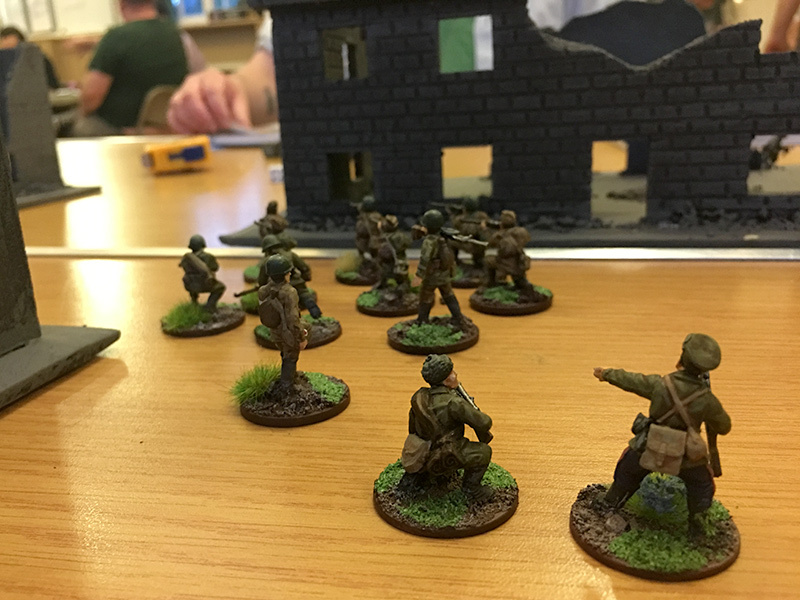 My first game of Bolt Action took place at Letchworth Wargames Club last night. I took my Russian army to put them against an army of Germans owned by Mark. Neither of us have played before though we have both watched a game or two. It has to be said, it wasn’t the smoothest or quickest of games; most of the game was spent with our heads in the rule book trying to fathom out how to do everything. Then there was the consulting of charts repetitively, something which more seasoned players don’t need to do as they have learned the figures. 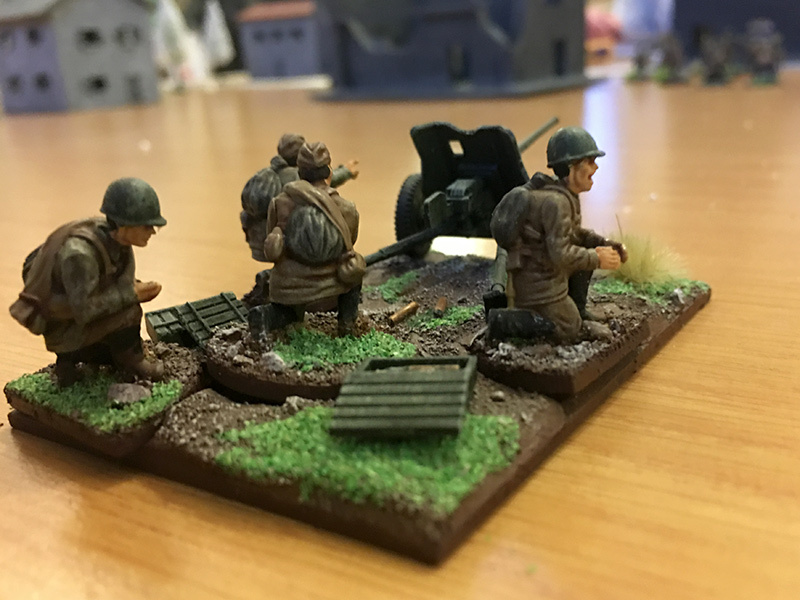 Neither of us own much terrain but I brought a few wrecked buildings that I haven’t yet completed and Mark brought a couple of 20mm buildings. I added some Chinese-bought winter pine trees. We made up armies of 1,000 points each. mark included a Panzer VI Tiger which ate up almost half his allocation of points. I managed to cram in a T-34/76 a truck, a 45mm AT gun, a mortar, sniper team, medium MG team and an anti-tank rifle team. 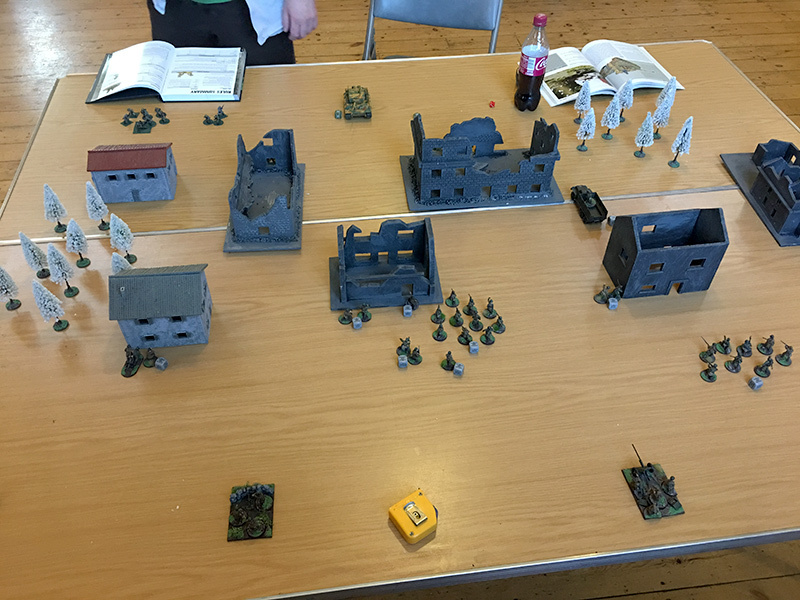 The Russians get a free 11-man inexperienced rifle section so the Germans looked well and truly outnumbered. 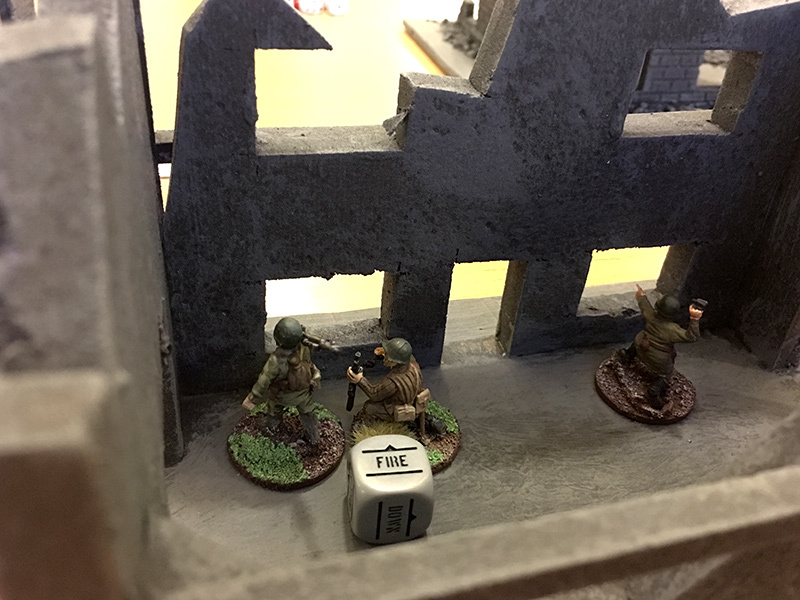 We managed three rounds, both taking casualties from the infantry. My AT gun never fired a shot because, due to the positioning of the buildings, it never had clear line of sight to a target. By the end of the game, we managed three and a half turns, things were starting to speed up as we started to remember the modifier settings and dice roll requirements. I managed to force Mark’s Tiger to turn side on to my front by using my T-34 to outflank him, but sadly, my Anti-tank rifle team were hopeless at inflicting any damage to the side of the Tiger. 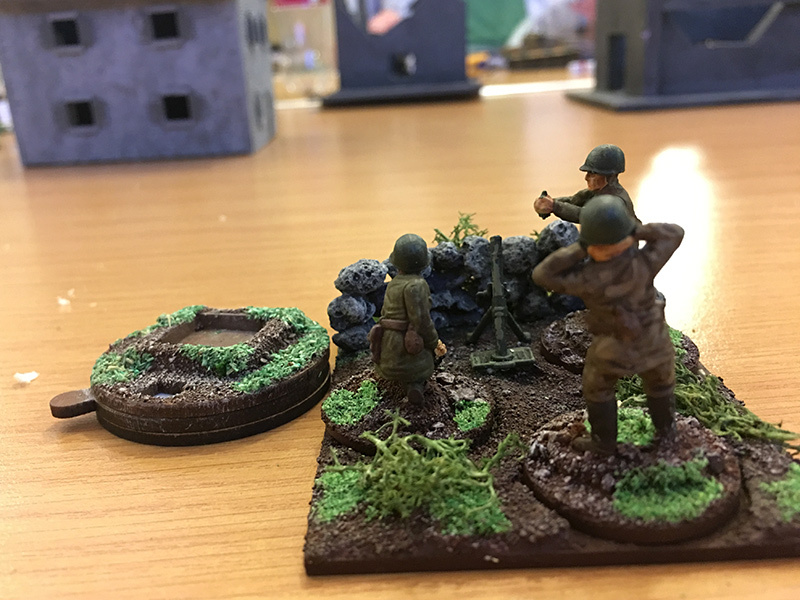 Whilst there was no overall winner, there were signs that the Germans were pulling back to protect against any further losses. I’m looking forward to another game.